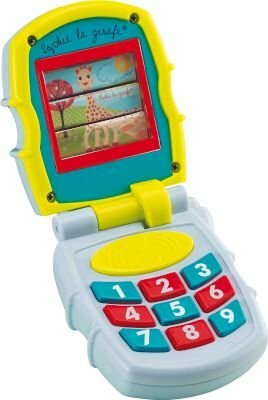 Several activities to discover: hinged clamshell to open and close at will to make Josephine the mouse, Gabin the bear and Sophie la girafe appear one after the other on the screen! Colours that change with the rhythm of the music. 5 lively melodies for baby's listening pleasure. Fun sounds triggered by pressing the numbered keys.